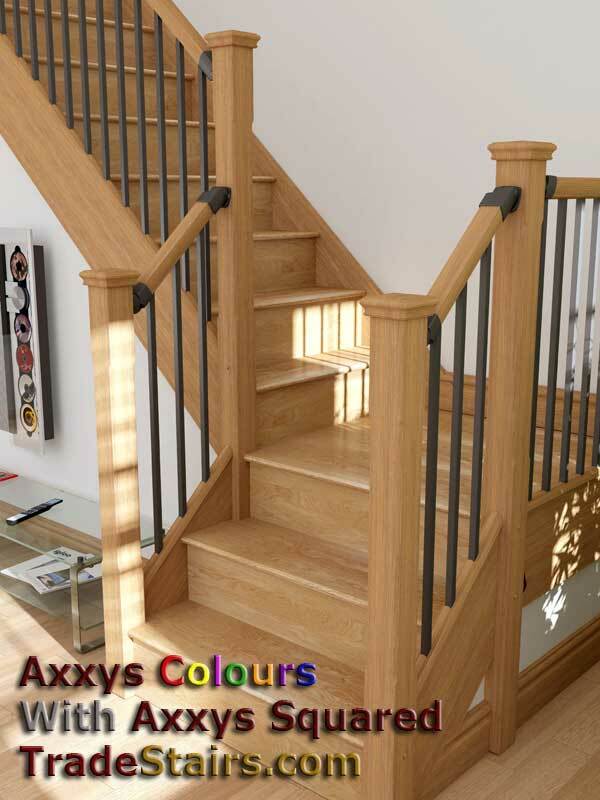 Axxys Squared is the Latest range of Axxys Stairparts. 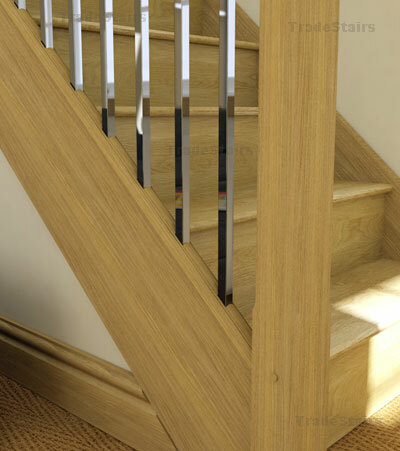 This offers a unique Oak handrail and baserail profile with a new Selection of Colours - Choose Stainless Steel - Graphite or the Cream Effect. 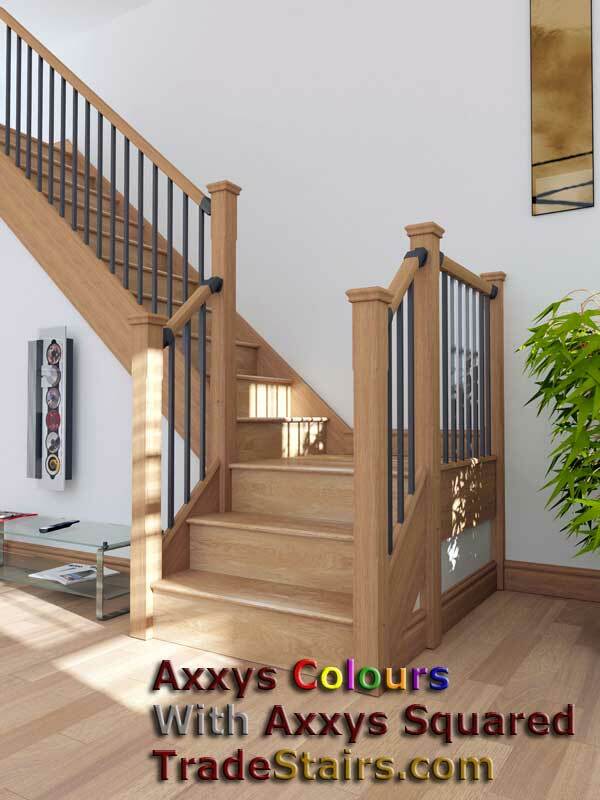 The Axxys Squared Range offers the best value for someone looking for a contemporary styled staircase with metal balusters. 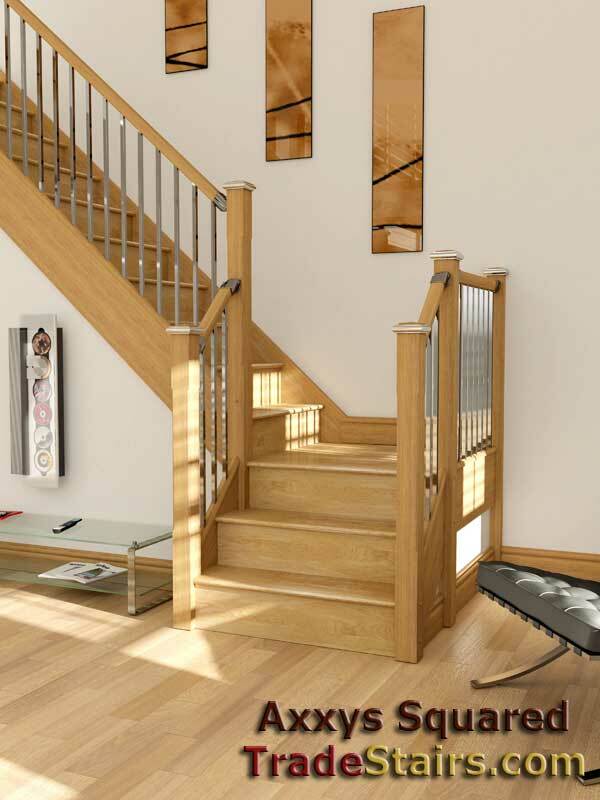 Axxys Squared is a new range of stair balustrading components. Shown hewe with the Axxys Solo newel cap. See and be seen with every step you take ! Axxys Squared is designed to suit most domestic stair pitches between 38_ and 45_ with handrail heights of 900mm for the stair rake and the landings. 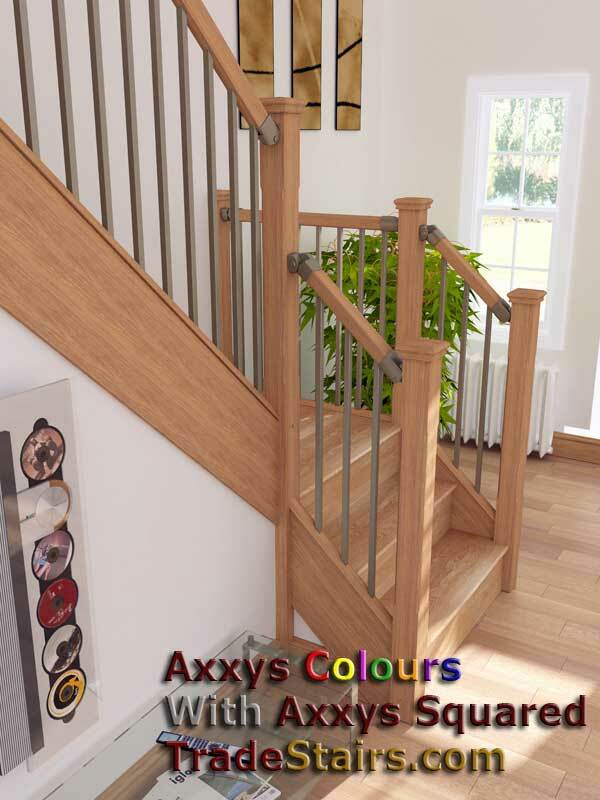 Timber components are available in oak connectors in Chrome, Cream or Graphite the axxys range has the versatility to suit any interior and sit comfortably with both contemporary and traditional dÃ©cor. The Axxys Squared range is set to take over as the leading solution for contemporary balustrade with a stylish design and component costs being far more competitive than the current options available. Axxys Squared is due to be launched iminantly feel free to email us to let us know your interest. 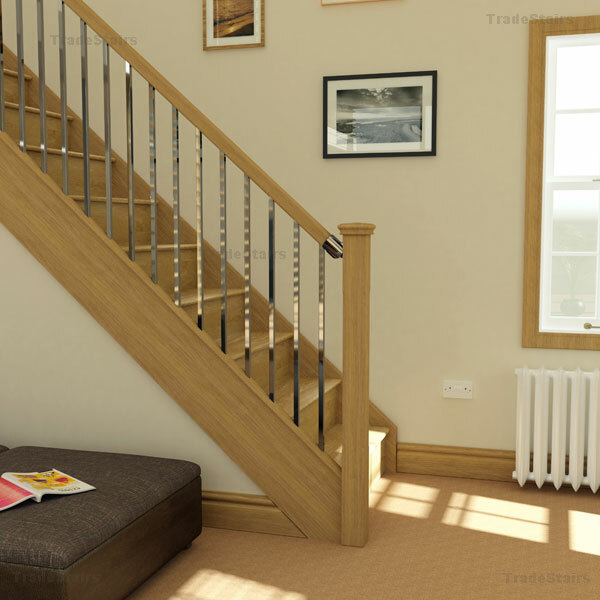 Stairplan offer the full range of Axxys stair balustrade components at Trade Prices - Quick delivery - For Help in working out your components email us with photos of your existing staircase and provide a brief description of your requirments and your sizes.